Got a super fast race coming up? Well, we're sure there's one car who's ready for the action. Who's ready to race. Who's ready to win! 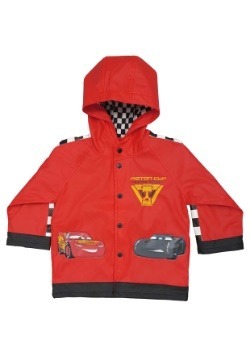 Yes, Lightning McQueen is ready for the fun! 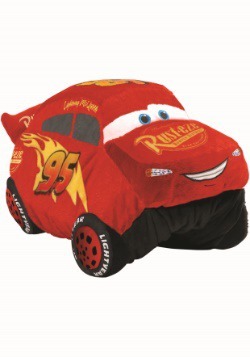 Sure, we loved Lightning McQueen in Cars, Cars 2, and Cars 3, but we've never got to see him race in action off the screen. 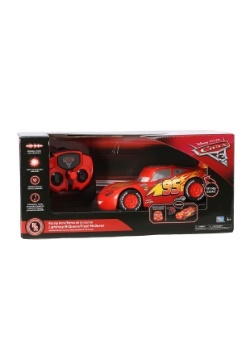 But, now we can get your kid into the action, as Lightning McQueen, and he'll be ready to race around your home to a big victory! 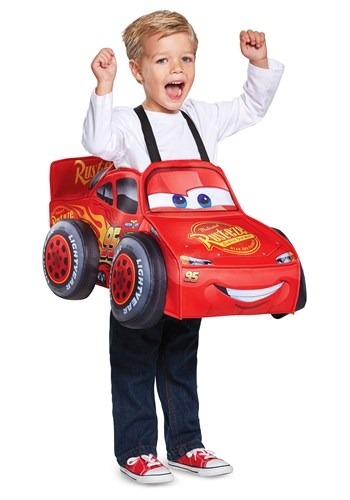 If your child would love some of the action and fun from this fun franchise, all they're going to need is this kid's 3D costume. It's a tunic costume that fits over his regular clothes with suspenders. And it's fully done in Lightning's style! Fully printed, the all polyester tunic has a padded foam body with all of the character details. For an easy and fun Halloween costume or to let him spend his playtime racing, we're sure he'll love this style. Check out all of our Disney costumes to deck out your entire family in this fun and popular theme! Standard Opening 22" x 9" 22" x 9"